“Mr. 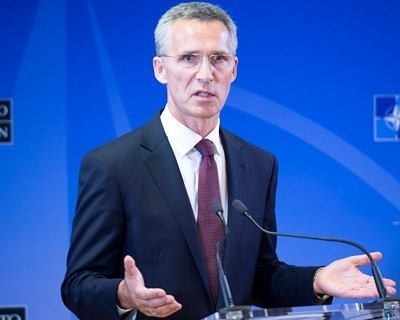 Stoltenberg’s promises to admit Georgia to NATO is a form of gratitude for providing the Alliance with territory for conducting military exercises. In addition, this is another provocation against Russia, which is always concerned about the expansion of NATO to the borders of our country. ” This opinion was expressed by a member of the State Duma Committee on International Affairs Sergey Zheleznyak. The politician noted: “NATO stepped up against the backdrop of statements by European politicians about the need to create a pan-European army capable of becoming an alternative to the Alliance and leveling its influence on the continent. The Alliance regularly attempts to approach the borders of Russia, locates its military bases around Russian territory, conducts exercises and draws new countries into the Alliance, and unleashes an arms race. With the active support of the main sponsor in the face of the United States, NATO continues to provoke Russia, hiding behind the already hackneyed and absolutely groundless topic of the “Russian threat”.